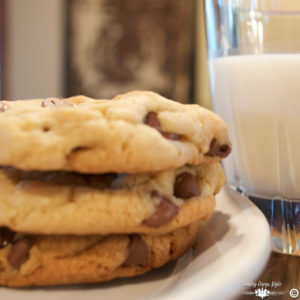 You have a cookie exchange. 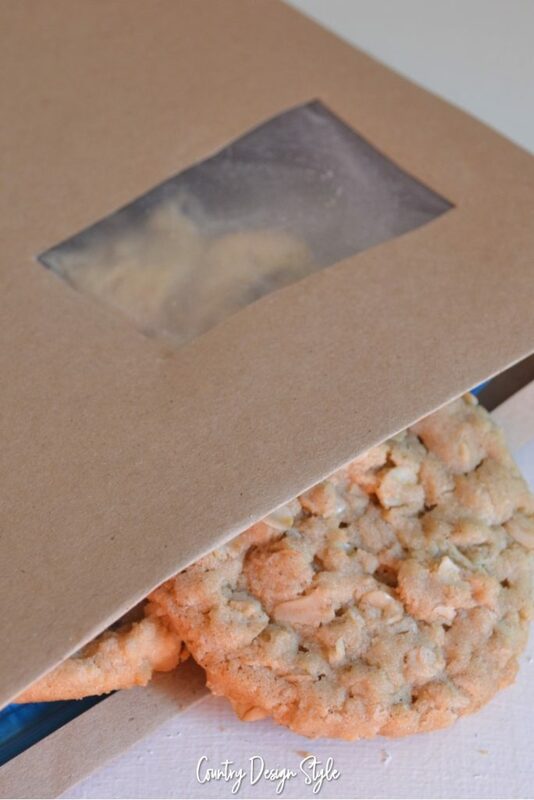 You need cookie packaging, but not just a food storage bag. Cookie tins are now plastic. Food wrap doesn’t stick to paper plates. Last year, I lost several cookies in the middle of the street. They jumped from my plate. At least the birds enjoyed them. Now I’ve solved the problem of cookie packaging. 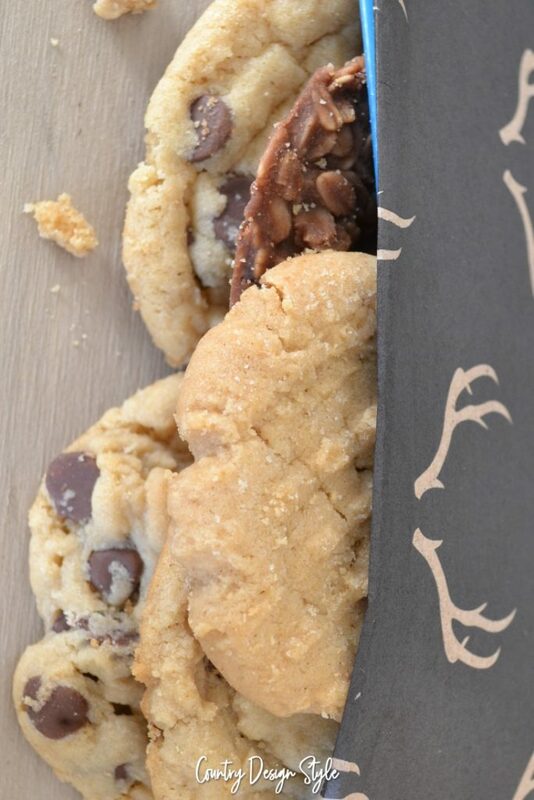 This cookie packaging idea looks great and keeps your cookies fresh. I used food storage bags. The gallon size, but any size will work. Don’t you love the lines they put on the back of wrapping paper now!! Those lines are perfect for this project too! 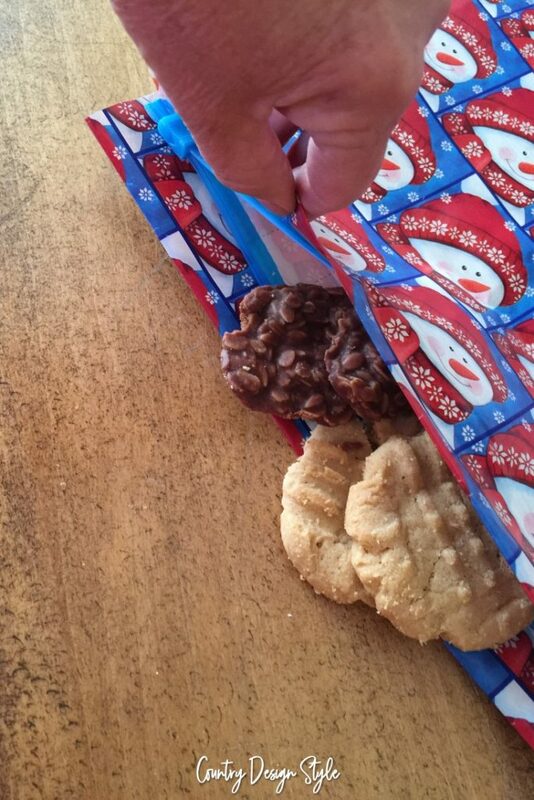 Lay your food bag on the wrapping paper and cut about an inch larger on all four sides. Cut another the same size. Tape the top edge with the slider. The glue on the slider may cause it the stick. 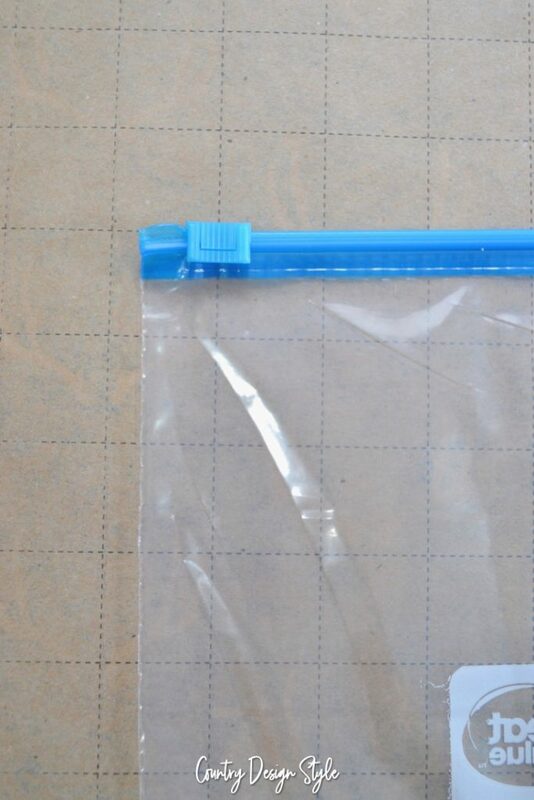 Take your food storage bag outside and spray well with your glue spray on both sides. 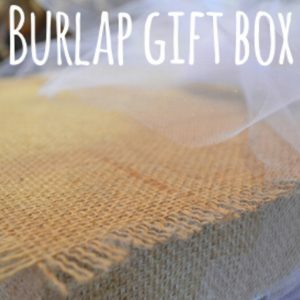 Place the bag on the line side of your wrapping paper. Remove the painter’s tape. Cover with the other piece of wrapping paper and press together well. 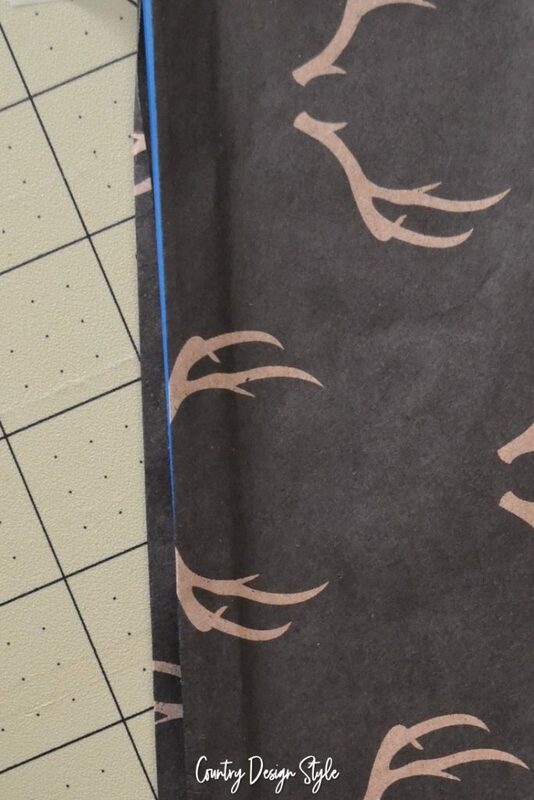 Trim the two sides and bottom edge leaving 1/4 inch of paper. Fold the top edge enough to hide the slider. 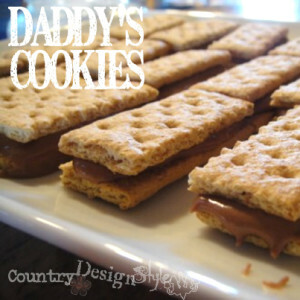 Open the slider and fill with your yummy cookie creations to share. Use decorative scissors along the edges. Instead of wrapping paper use craft paper and decorate the top using crayons or markers. Cut a window in the paper to make a peephole. 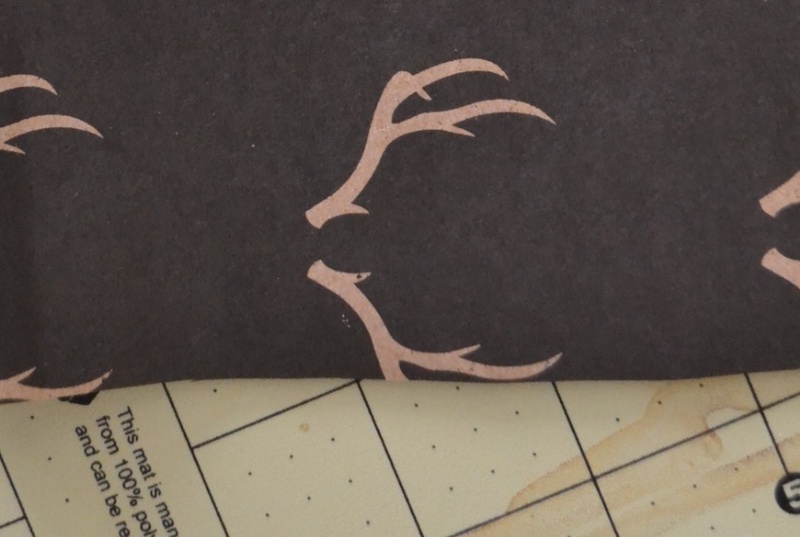 Use rubber stamps to decorate. Set up an assembly line to make several cookie packaging bags. 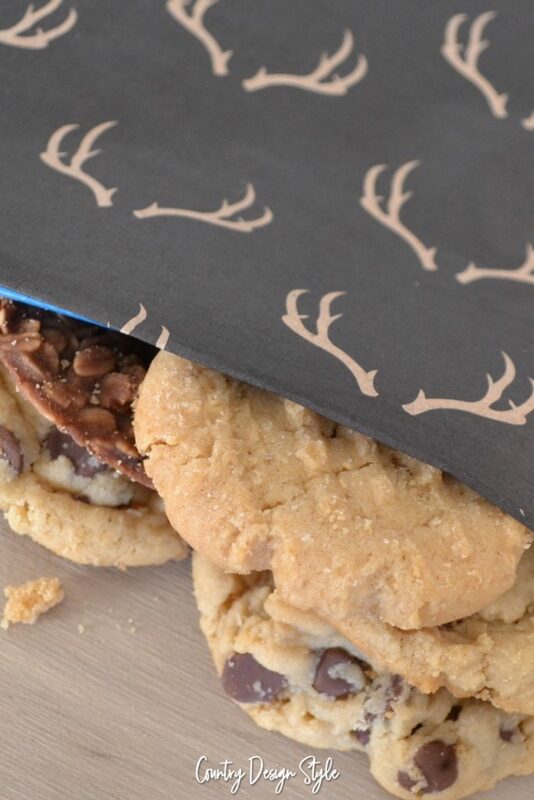 There are tons of wrapping paper styles to match the cookie occasion. Now, I heading out to feed the birds.